The Site: Grey Box (Eucalyptus microcarpa) Grassy Woodland is listed as an endangered ecological community under the EPBC Act 1999. This ecological community was once widespread on the drier edge of the temperate grassy eucalypt woodland belt of south-eastern Australia. In South Australia, this community occupies less than 3 percent of the area it once did before European settlement. One of the remaining suburban remnants of this community can be found in Mandilla Reserve, Flagstaff Hill, SA. The reserve is surrounded by suburban houses and remains under threat from weed and pest invasion, lack of recruitment of canopy species plus degradation associated with urban encroachment (pollution runoff, rubbish, excessive stormwater). Since 1996 the Bush or Life program together with the City of Onkaparinga have supported community volunteers to care for and manage the bush regeneration work within the reserve. The objective was to restore the highly degraded Grey Box remnant into a woodland community representing the unique diverse vegetation it once housed. Works: Two very dedicated community members adopted the site in 1996 and began visiting on average 3 times per week. 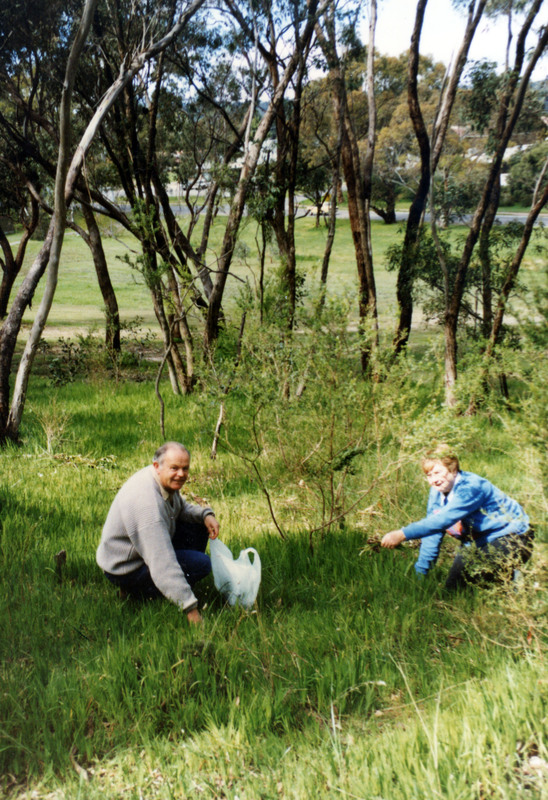 They used minimal disturbance bushcare techniques to tackle a carpet of bulb weeds such as Sparaxis (Sparaxis bulbifera), Soursob (Oxalis pes-caprae), Bridal Creeper (Asparagus asparagoides) and Cape Tulip (Moraea flaccida) mixed with highly invasive annual and perennial grass species. In the surrounding degraded areas, some strategic planting was also carried out using Grey Box (Eucalyptus microcarpa), Sticky Hop Bush (Dodonaea viscosa) and Sweet Bursaria (Bursaria spinosa) and local sedge seedlings. Four areas were also hand direct seeded with native grasses to encourage ground cover recruitment and discourage weeds. All seed used was collected on site to ensure local provenance was maintained. Results After thousands of volunteer hours, extensive regeneration of natives occurred on site. 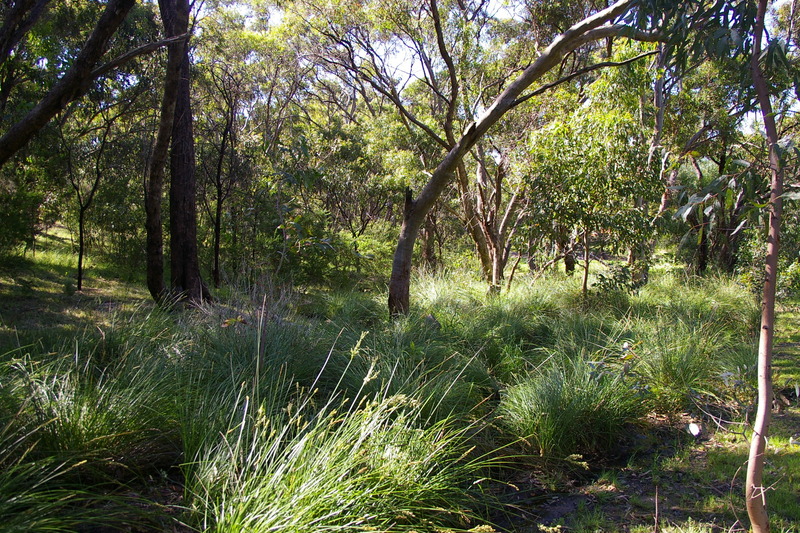 The volunteers’ work has transformed the reserve into a flourishing area of lilies, native grasses and understorey shrubs. Today, the vegetation in the reserve is virtually weed free and even native orchids are beginning to return. 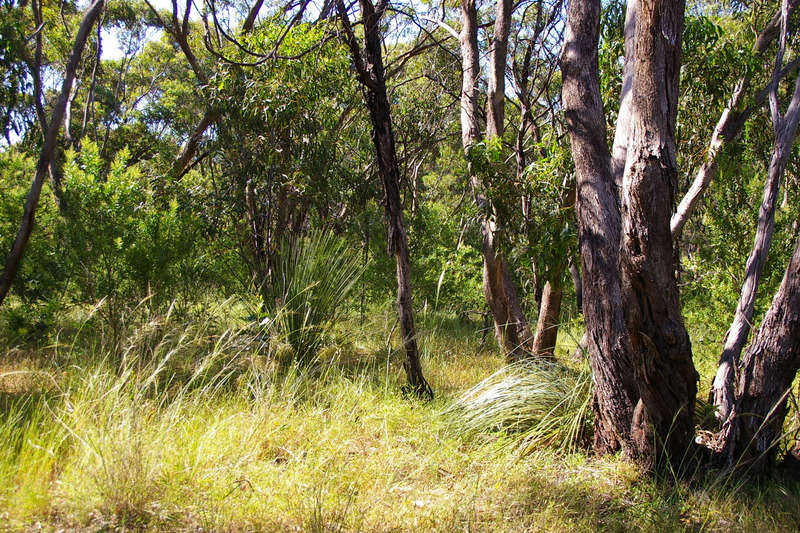 In addition, the area that the bushland covers has expanded as a result of the planting and direct seeding. Since these works, natural regeneration has also been observed of native sedges including Senecio, Carex, Juncus and native grasses. Lessons learned: Regular follow up for several years is vital to the success of any primary clearance work whether or not minimal disturbance techniques are used. Facilitated regeneration can be successfully used with bush regeneration providing it is strategic and complementary to and considerate of existing natural regeneration processes. Maintenance of the plantings or hand direct seeding is also vital to minimise competition from weeds and ensure their success. Acknowledgements: This site is owned by the City of Onkaparinga Council and is managed in partnership with Trees For Life who train and support volunteers through its Bush For Life program. Thanks goes to Geoff and Barbara Moss, the site’s main volunteers. This entry was posted in Bush regeneration, Community involvement, Sclerophyll communities, South Australia, Uncategorized, Urban ecosystems, Weed issues & solutions. Bookmark the permalink.